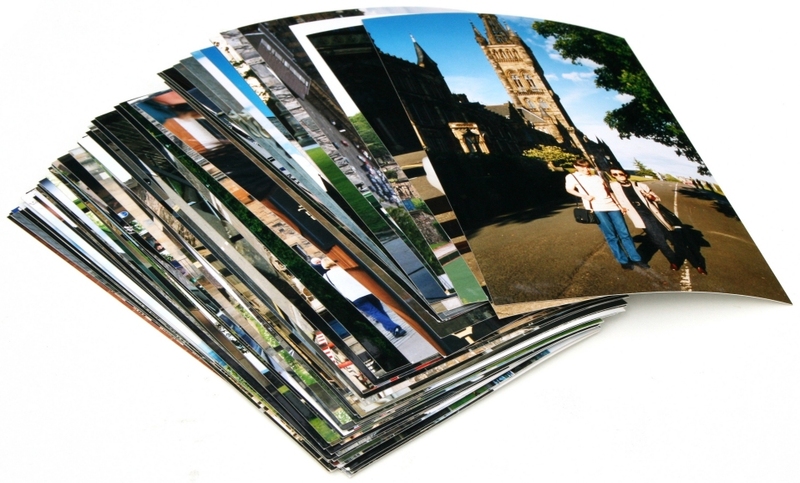 One of the most frequent questions our customers ask is, “How large is the largest order?” About 1000 photos at a time, which, if you’re a club member and use the Reader Reward in every newsletter, only costs 7.6 cents per 4×6 printÂ including shipping. M ost large orders include adding entire albums at a time. From the album page, note that each album tells you how many photos are in the album in the upper right corner of the first photo. In the example here, one album has 135 photos and another has 15 photos. Select the albums you want to add by tapping theÂ select boxÂ under the album. 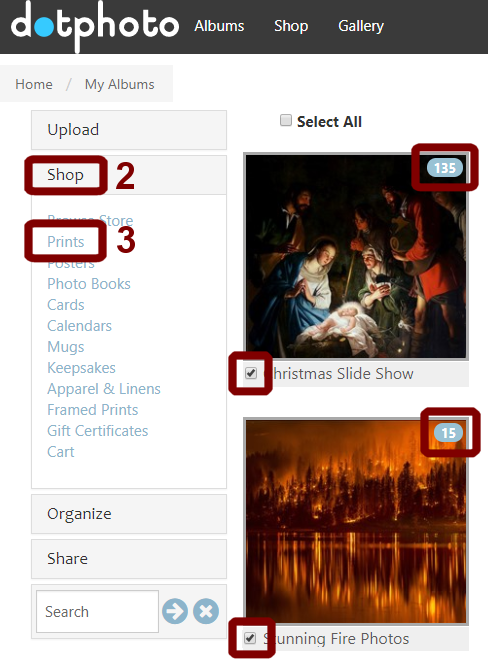 If you are ordering prints, tap theÂ PrintsÂ button and the size of the print you want.